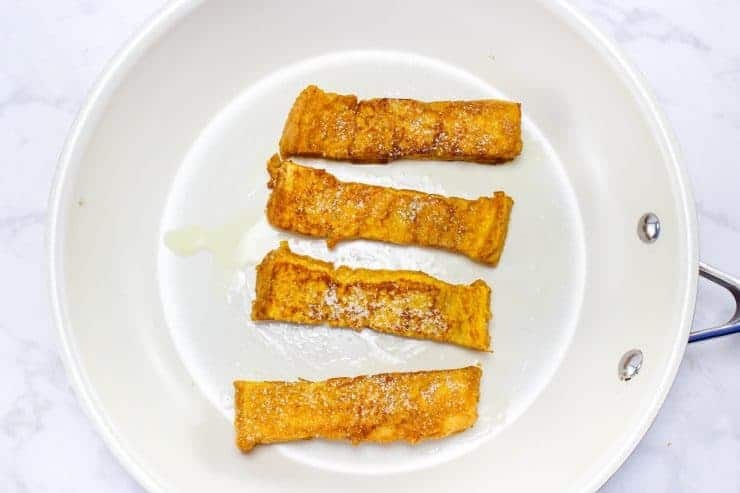 Seriously easy to make, and oh-so-very delicious, these pumpkin French toast sticks will be your favorite fall breakfast. I can't believe that summer is already coming to an end. It feel like it has just begun! But with the birth of my son, this summer has just flown right by for me. The kids are already headed back to school, our community pool is closing, and before we know it temperatures will be dropping. Autumn is just around the corner which can only mean one thing… time for pumpkin flavored everything! Are you a pumpkin lover? 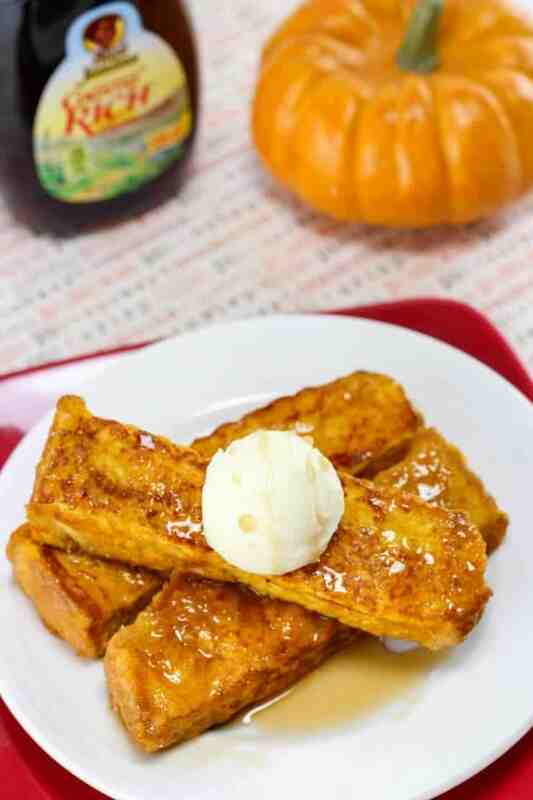 If so, you are going to go crazy for these quick and easy pumpkin French toast sticks. 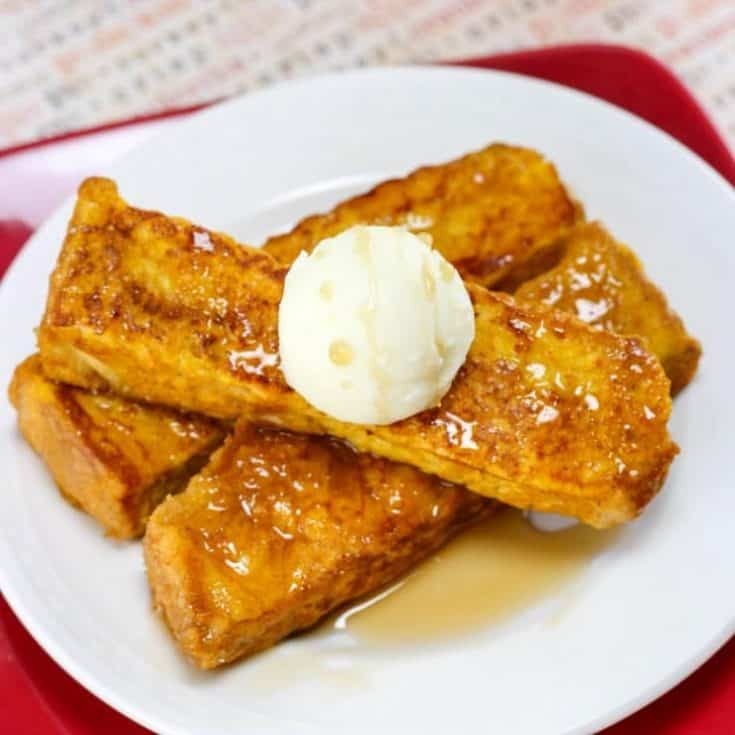 Isn't French toast the best? When I was a kid I would always look forward to weekend mornings when my mother would make us French toast. 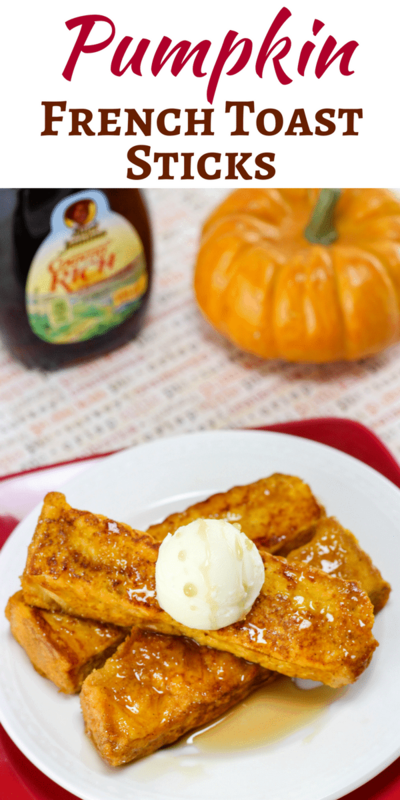 These pumpkin French toast sticks are as simple to make as regular French toast. You only need to add a few ingredients to the batter and bam! – pumpkin flavored! 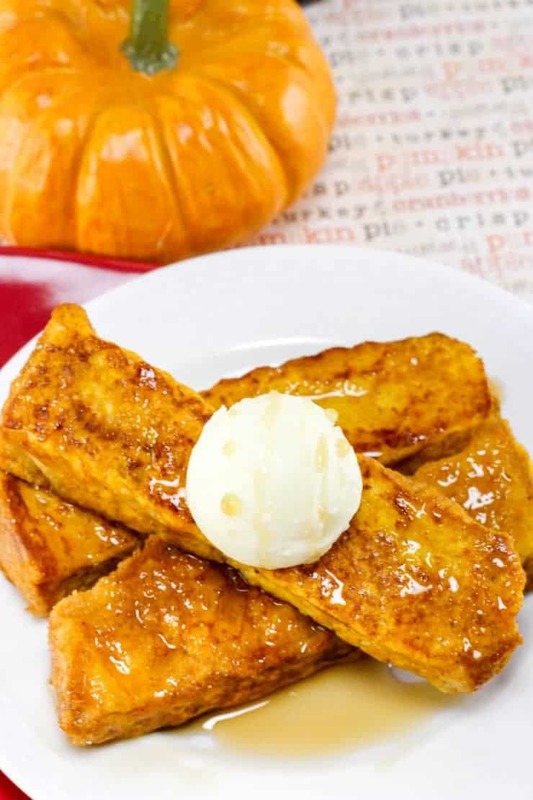 Pumpkin French toast sticks make the perfect Autumn breakfast for the family before heading out the door apple picking or to another fun autumn activity. The kids will love that they can eat these with their hands, and dip them into syrup. Who doesn't love dipping?! Let's take a look at what you will need to make these puppies, and then I will go through the process with you step by step. Then, you will find a printable version of the recipe at the bottom of the post for your convenience. First, mix the eggs, milk, pumpkin, and spice in a bowl. Then cut each slice of bread into 4 strips. Next, dip each bread stick into the mixture to coat. In a skillet over medium heat, spray or coat with butter, and cook the French toast sticks for 6-8 minutes or until cooked through. Turn each stick to make sure all the sides get toasted. Remove from pan. Sprinkle with sugar and serve with a dollop of butter and warm syrup. Enjoy your delicious fall breakfast! 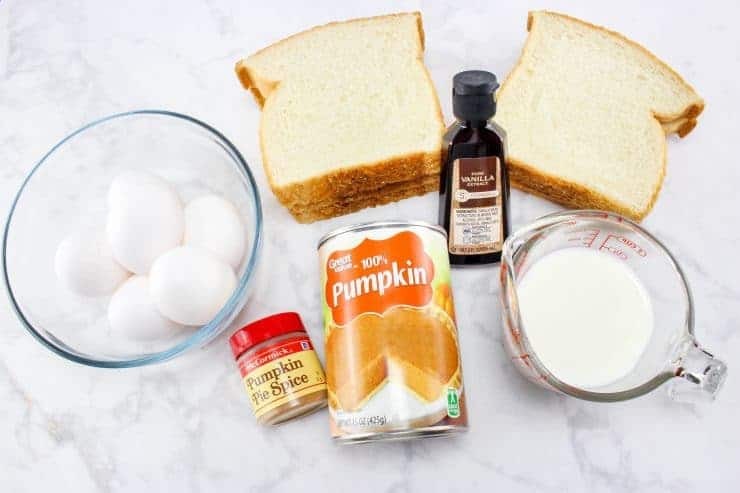 Looking for more pumpkin breakfast ideas?! Check out these Pumpkin Pie Poptarts and these Whole Wheat Pumpkin Walnut Pancakes. If you like this delicious fall breakfast recipe, you are going to love what we have for you for winter as well. Our gingerbread pancakes are the best breakfast for chilly winter mornings! 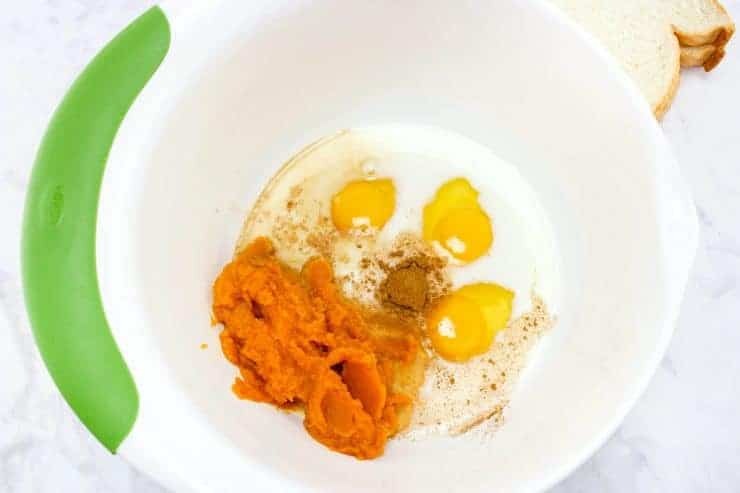 Mix the eggs, milk, pumpkin, and spice in a bowl. 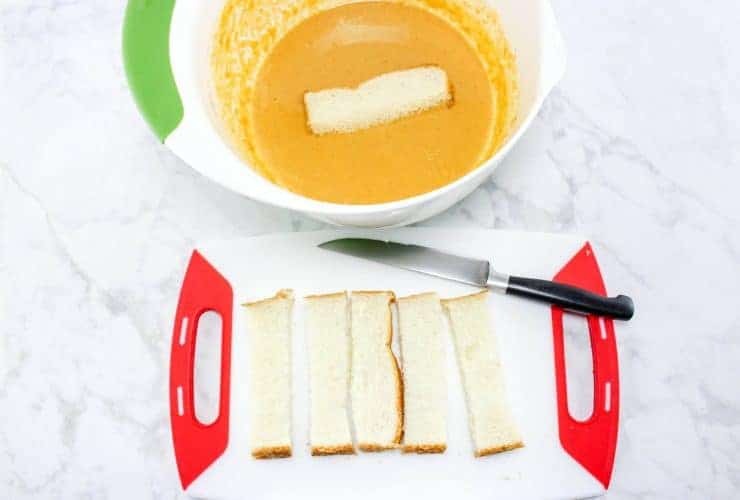 Cut each slice of bread into 4 strips. Dip each bread stick into the mixture to coat. so clever! I never would have thought of this! They look delicious! OK, that’s a very new flavor combination for me. I’m torn on whether I’d like it or not. You’ll have to send some over! 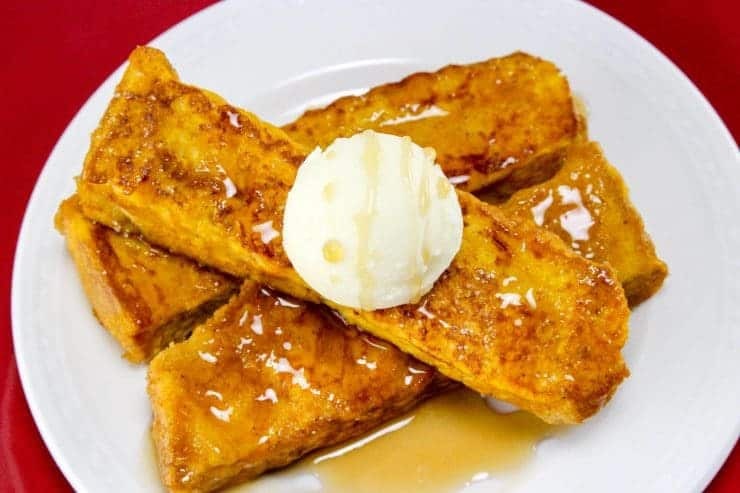 When I was young, we used to BEG my mom to buy the frozen French toast sticks. If only she knew she could make her own with your recipe! That looks AWESOME! I don’t normally jump on the “everything pumpkin” bandwagon at this time of year, but you’ve sold me on these. Om nom nom. These look delicious! I just bought a few cans of pumpkin so I can start getting in to the pumpkin spice spirit of fall! Yes indeed, I’m going to make this. 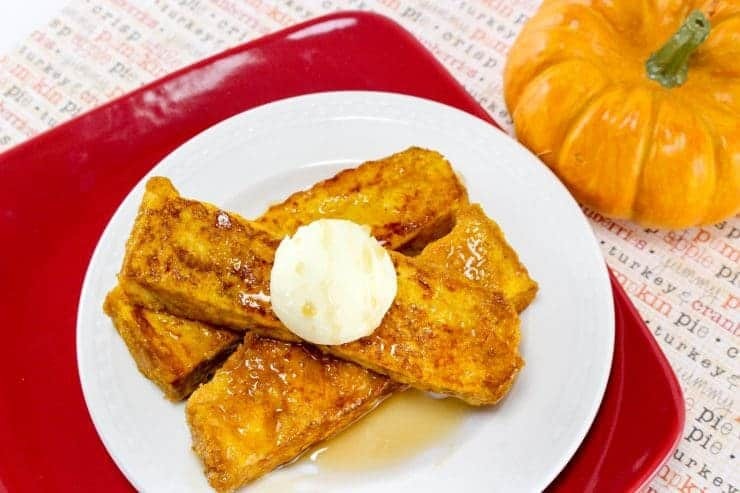 We love French toast but, I have never thought to make pumpkin French toast. I too can’t believe summer is coming to a end. This will be the perfect fall breakfast that’s for sure, my kids will love this. These look SO good! I can’t wait for fall! 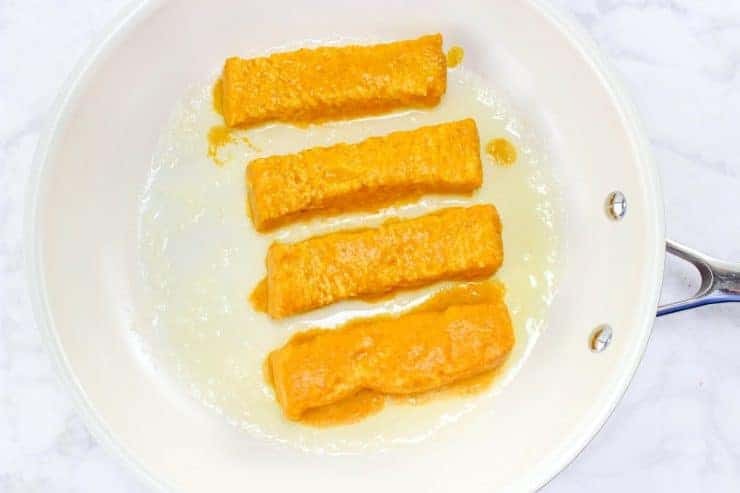 I’ve been itching for some new recipes to try with pumpkin, and this sounds really good. The sticks can even be portable, which is great for busy mornings.